A nice early version of this oil cabinet with original Shell graphics on the pump. 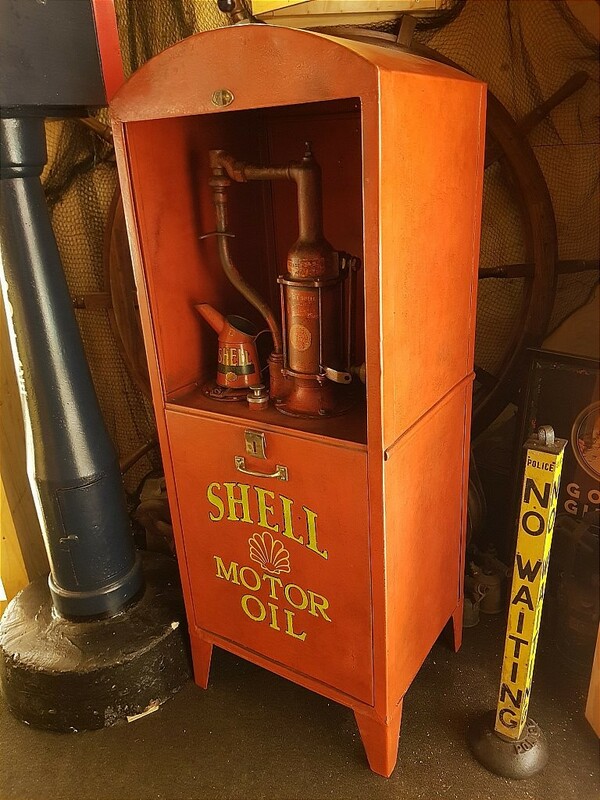 It was however first owned (pre-war) by Texaco according to the metal label inside the filler cap. An interesting journey through time. I have restored it with distressed paintwork and painted aged Shell graphics.